The interconnecting peer-to-peer principle appears to be a motivationally beneficial yet demanding component of inquiry-based learning. 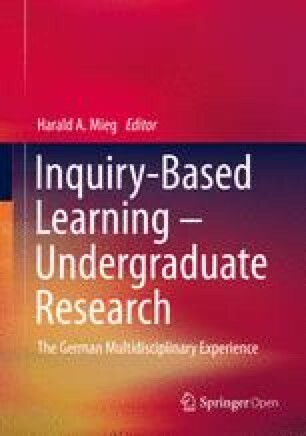 The principle is the maxim behind the implementation of participatory and inquiry-based learning settings that should stimulate their own professionalization in the context of their studies. After briefly situating the peer-to-peer principle, this article will first explain the ideal of low-threshold network formation in research-related teaching formats based on the tutorial variant and will then discuss the peer-to-peer principle from a group-dynamic point of view. Afterwards, I will outline a model of a moderated peer-to-peer orientation. Finally, I will present a brief look at the inconsistencies inherent in linking the peer-to-peer principle with further maxims of inquiry-based learning.